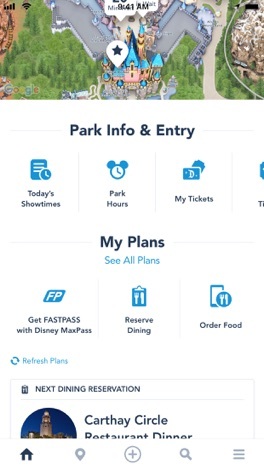 †Guests are strongly advised to check the day’s FASTPASS ticket availability and other park details before purchasing the Disney MaxPass feature or using a park ticket with Disney MaxPass. 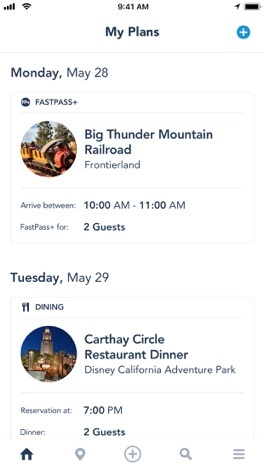 Popular attraction FASTPASS tickets may not be available at the time of Disney MaxPass purchase or use as FASTPASS tickets are limited and availability is not guaranteed. Disney MaxPass is nonrefundable, nontransferable and subject to restrictions and change without notice. 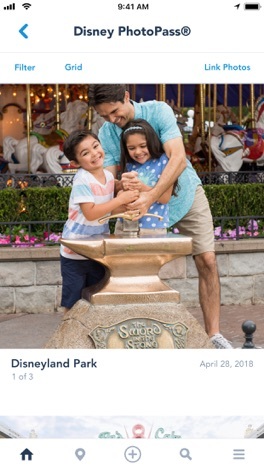 ††Disney PhotoPass is subject to the Disney PhotoPass terms and expiration policy. Note: Some app features require location data or for you to register by providing your full name, country, birthdate and email address in order to use them. 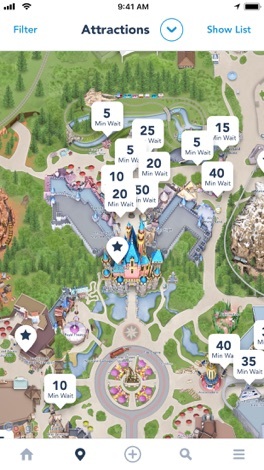 If Bluetooth is enabled on your device, this app will also collect your precise location information through beacon technology in order to improve your in-park experience, such as wait times. Optional planning tools may also ask you about your travel party or allow you to save a credit card to your profile for online purchases. Features include the ability to make purchases and require a Wi-Fi or mobile carrier data connection. Must be 18 years or older to make purchases.